Way to Hemkund Sahib, Just a day before its opening….. 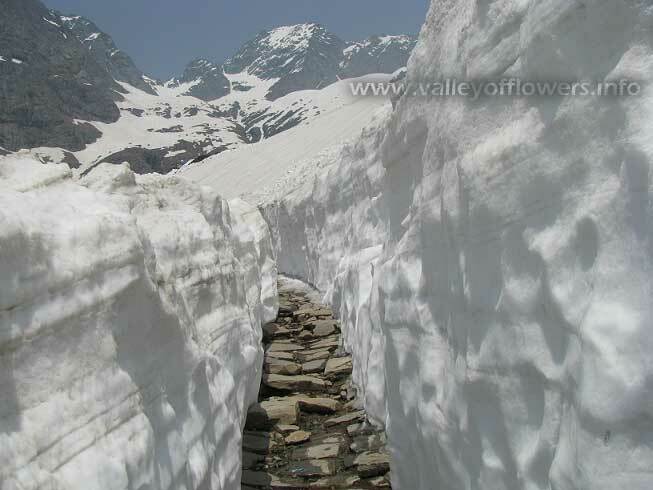 This year Valley of Flowers and its surrounding area witnessed a good amount of snowfall. I went to Hemkund Sahib on 31st May this year. The amount of snow which I saw was huge. I was facing difficulties in opening my eyes as snow was shining in bright sunlight. But it was a very nice feeling, walking between these two huge walls of snow. There were places where these walls were as high as 12 feet. Snow in summers……! But all this will change in a matter of a months time. You will lush green on the both side of this path. Lots and lots of Brahamkamal and Blue Poppy Flowers. I am again visiting this place on 12th July. Actually starting from Delhi on 8th July, 2012. If you want to accompany me to this true wonder of nature and Valley of Flowers kindly fill in your contact details at Contact Us. I will contact you personally. Do you take trek for Hemkunth also? Prenanthes brunoniana is an erect herb of 30 cm to 1.5 m tall with many spreading branches. Leaves are up to 25. 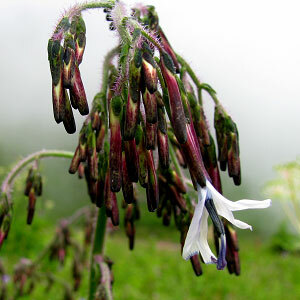 Flowers heads are blue or purplish white, pink or purplish. Flowers are drooping outside. The stigma is purplish. The specific name Brunosis is a Latinized form of on Bruno and it refers to Robert Brown, A Scotish Botanist.